This is the older brother of General Classic Portion. The flavor is much stronger, along with having nearly twice the nicotine. 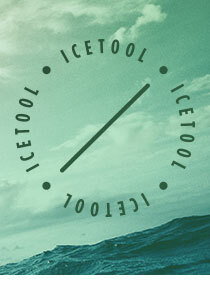 The taste has a very bold tobacco flavor, along with hints of bergamot and salt. The drip is pretty intense, but this makes the effects begin rapidly and continue in a sustained fashion. starker Nikotin Geschmack. Gut für welche die das mögen. I like this snus. Great flavor, punch and all around balance. Just bought 10 more. Für jemanden wie mich, der den kräftigen Tabakgeschmak liebt, ist dieser Snus wohl einer der besten. Auch die Nikotinstärke gefällt. Classic General Flavor with a Nice Balance of Flavors. 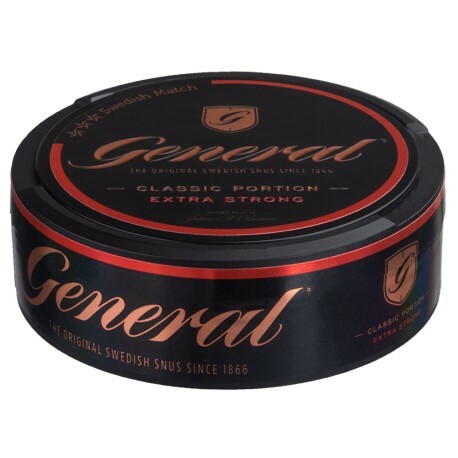 After General's Mackmyra, which had quickly become one of my favorite snus, I ordered General Extra Strong and found that I liked this snus even more than the Mackmyra. It has a a wonderful balance of smoke, salmiak, herbs and bergamot flavours, with a proper nicotine content. A great snus when you feel the need for higher nicotine. Perhaps not for everyday use, this snus packs a punch and is great for some special slow and mellow afternoons. Strong snus, solid taste, a little bit too salty for me but overall a good product. Nice snus.. Real deal!! strong and nice taste.